Gas Spring Strut Joint connector End Fitting. It is a good replacement of gas springs Ball Strut, and the gas springs are ideal motion control devices for lifting, holding, counterbalancing, and providing support for applications such as horizontally hinged doors, lids, hoods and canopies. Main Color: Bronze Tone; Female Thread Dia. 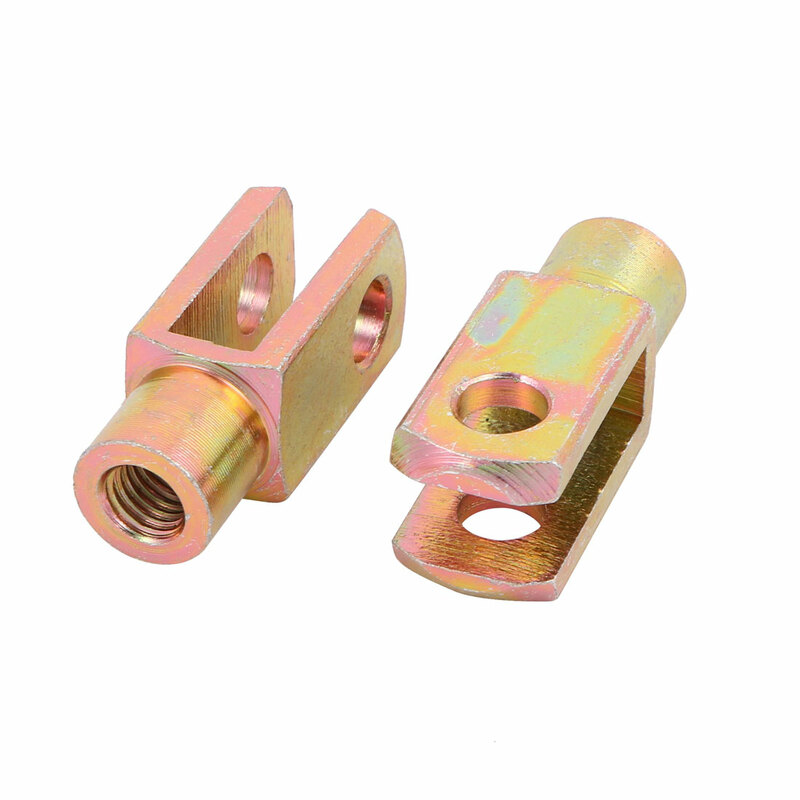 : M8 / 0.31"
Total Size: 42 x 15.8 x 16mm / 1.65" x 0.62" x 0.63"(L*W*H); Hole Dia. : 8mm / 0.31"
Shank Dia. : 14mm / 0.55"